ESET, a global leader in information security, has been committed to tracking Fancy Bear (also known as Sednit or APT28) – one of the most notorious cyberespionage groups in the world. A year after we brought forward the most comprehensive whitepaper on the activities of this group, ESET researchers have uncovered a new version of Fancy Bear’s flagship malware, Xagent, proving the group remains very active in 2017, and will continue to be in 2018. Throughout tracking of the group’s activity, ESET has confirmed that Fancy Bear’s main objective has been the theft of confidential information from specific, high-profile targets. The alleged targets over the past few years include the French television network TV5Monde in April 2015, the German Parliament a month later, and the American Democratic National Committee (DNC) in March 2016. When targeting individuals or groups, Fancy Bear uses two main attack methods to deploy its malicious software – typically persuading someone to open an email attachment, or directing an individual to a website that contains a custom exploit kit as the result of a phishing email. Once the group identifies an interesting target, it deploys its espionage toolkit, delivering long-term monitoring of compromised devices. Xagent is one of two backdoors delivered via this method and leveraged for spying. 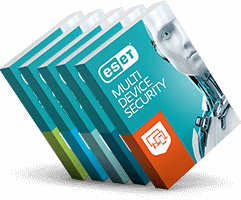 In 2017, ESET discovered a new version of Xagent for Windows. As ESET reveals, Version 4 of Xagent comes with new techniques for string obfuscation and shows the feature that all run-time type information is also obfuscated. These techniques significantly improve the way in which strings are encrypted via methods unique to each binary. The addition of new features and compatibility with all major platforms – Windows, Linux, Android and OS – makes Xagent the core backdoor used by Fancy Bear today. If you would be interested in reading more about ESET’s research on Fancy Bear and how the group has developed over the past few years, please read our latest blog here.